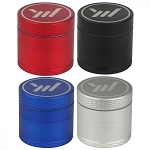 Santa Cruz Shredders are made in the USA and feature a sharp 4 point tooth design that tears materials with ease. 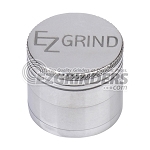 This premium grinder features rare earth magnets in the lid to keep everything secured shut whether your grinding or storing. 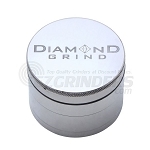 A fine mesh stainless steel sifting screen filters pollen and keeps it secured in the third chamber below. The Santa Cruz Shredder is made from an anodized aluminum that helps to keep its beautiful matte black finish fresher for longer. 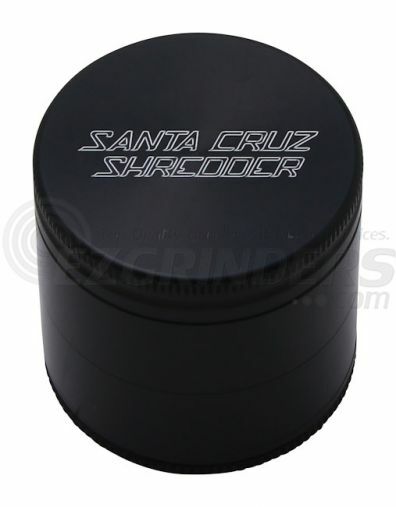 Grab this large 70mm (2.75 inches) Santa Cruz Shredder grinder and have the right tool to get any job done.